Twenty years is too long to live with something that can be prevented so easily, people. Infection rates are still rising worldwide, though the numbers in the developed world show that public information campaigns help prevent transmission. Respect yourself and your partners and protect yourself and your partners. Speak out about it. Urge the government to rescind the gag order on reproductive health organizations that offer condoms as birth control and std prevention in developing nations. The truth works. In the meanwhile, help us find a cure. 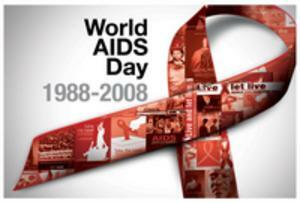 For a list of AIDS organizations who need your time or your money, click here.